Like these children who dismantle the alarm clock to know what time is, they create a laboratory of suspended bodies, destruct objects and bodies to create an absurd and surreal atmosphere that reveals the magic of reality. Thus, the fixed frame becomes mobile, the hard frame becomes soft, the upper side of the frame becomes the lower side. 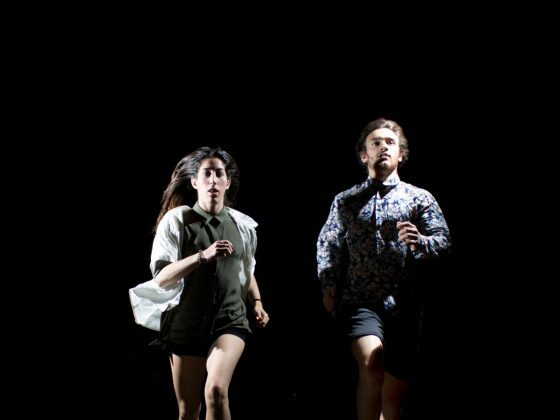 They are in a mobile space, a moving rubix cube where reality becomes the oxygen of action. 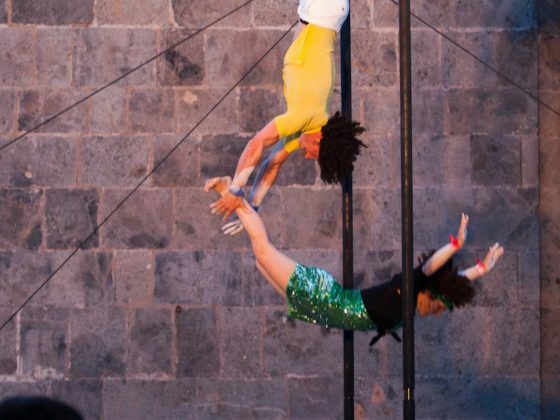 In 2010, Josefina and Daniel met in a circus company in Buenos Aires and started training together in the air. They perform in various events in South America. 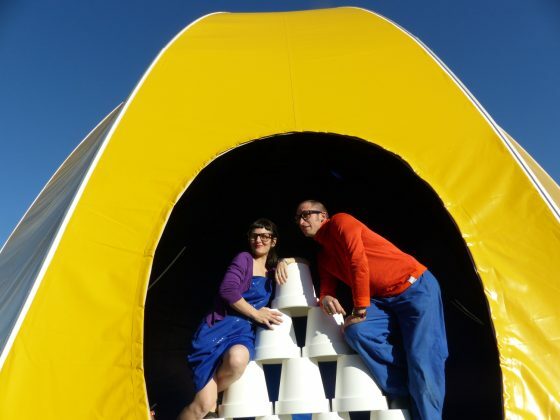 In 2012, they travel to Europe in search of new encounters, adventures and artistic experiences. 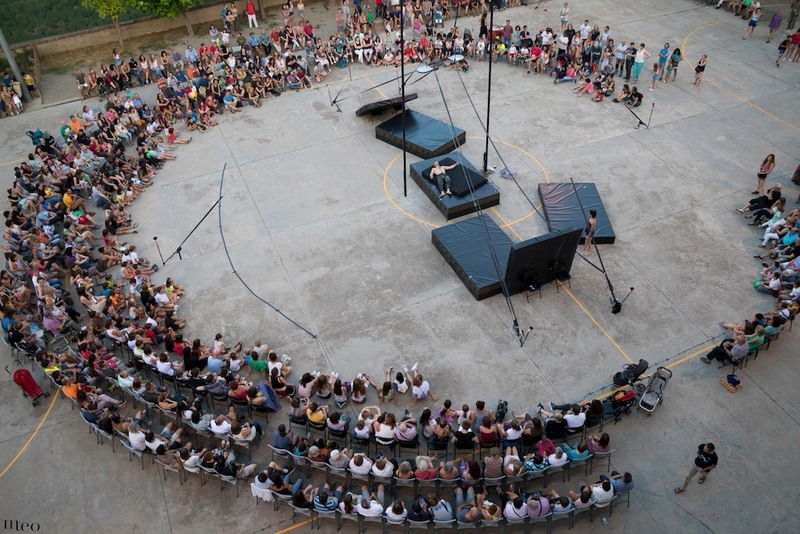 This is how one thing led to another, they enrolled at the Ecole supérieure des arts du cirque (ESAC). In 2013, their training will enrich them technically and artistically in all performing arts. In 2016, Josefina and Daniel finished their training at ESAC with a personal creation (EXIT 15 graduation show, ESAC). 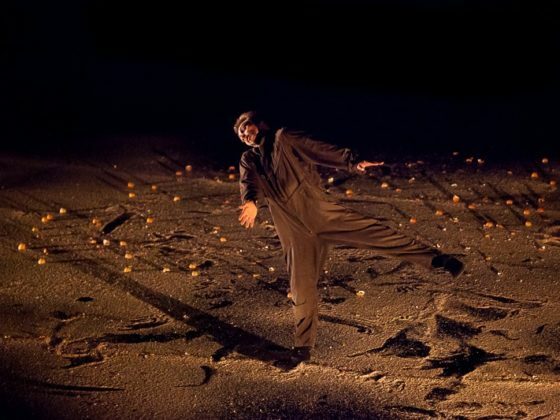 Since then, they have collaborated with the Théâtre Monfort in Paris, where they still perform in the show Terabak de Kiev. In 2017, they won the silver medal, the public prize and the Moulin Rouge prize at the Festival Mondial du cirque de Demain in Paris. 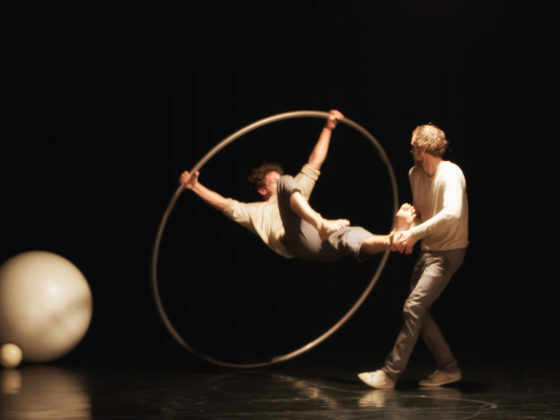 In 2018 the duo joined the Pépinière des Arts du Cirque de Toulouse, for the creation of a long form that will be released in spring 2020. In the meantime, the short form Ningunapalabra comes out, which is played outdoors and indoors. Josefina Castro: Josefina was born in Buenos Aires, Argentina, on July 3, 1988. At the age of 7, she began practicing artistic gymnastics, at 17 she discovered the world of circus and specialized in aerial techniques (fabrics, trapeze, aerial hoop). She joined the Vaiven company and also performed at the Cervantes theatre, as part of a dance company. 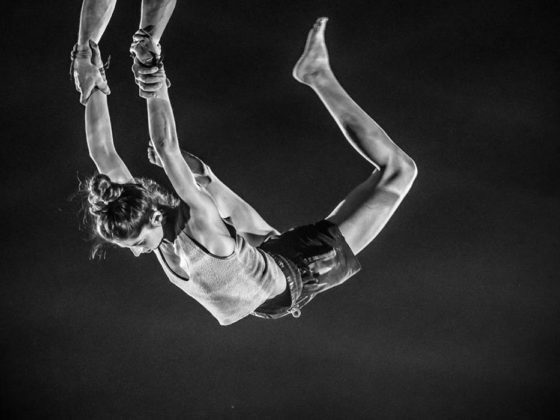 In 2010, she met Daniel and specialized in aerial management in Argentina and Belgium. 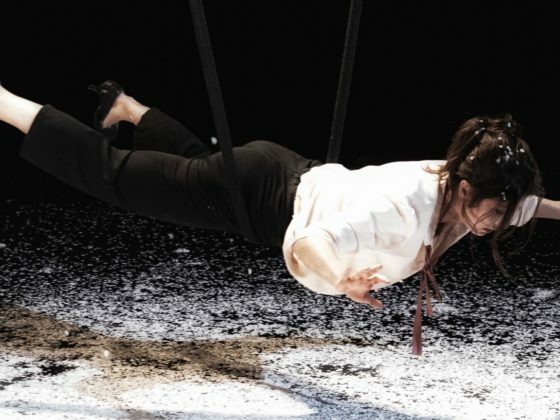 A multidisciplinary circus artist, Josefina completed her training in 2016 at ESAC, Ecole Supérieure des Arts du Cirque de Bruxelles. Daniel Ortiz: Daniel was born in San Juan, Argentina, on June 28, 1990. At the age of 10 he discovered the artistic world by taking theatre lessons. 2 years later he discovered the circus world and at the age of 16 specialised in trapeze and then in aerial cradle, a discipline in which he currently dived and worked as a carrier. 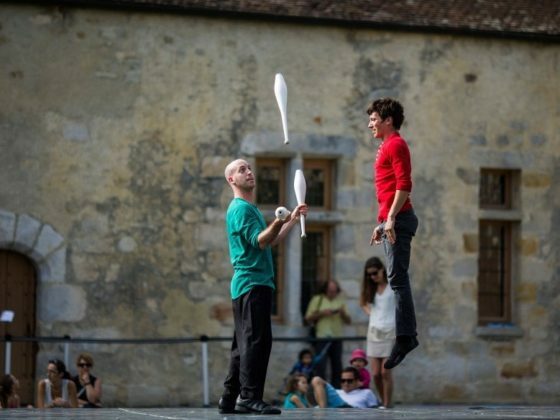 Daniel completed his training in 2016 at the Ecole supérieure des arts du cirque (ESAC) in Brussels.